Just as unique as your love is, so is your ability to have a unique menu. We have several wedding packages, all of which are completely customizable. Here at Seasons, we take great pride in following trends as well as creating fun and unique ways of presenting food. We customize every event menu to YOUR palate and desires. If there is something you want but don’t see listed, please don’t be afraid to ask your sales representative. Take a look at some images from our past weddings below or view our full menu here. 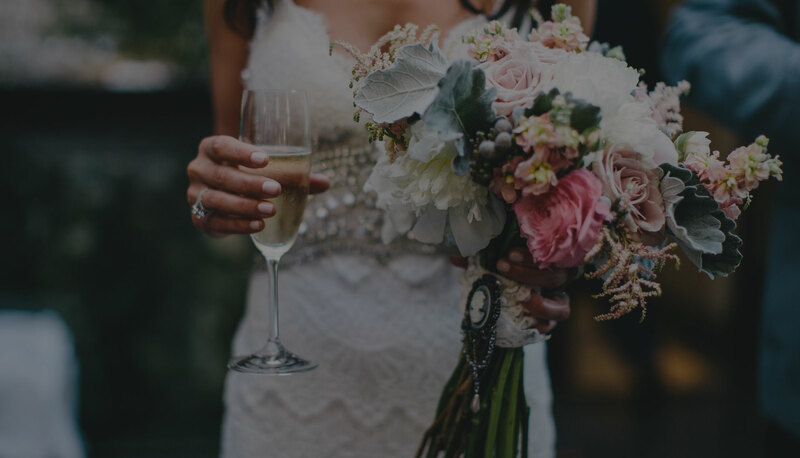 To learn more about our most popular wedding packages and pricing, request a PDF download of our 2018 Wedding Book. Offsite location with no kitchen? No problem! Our food truck is equipped with a kitchen. 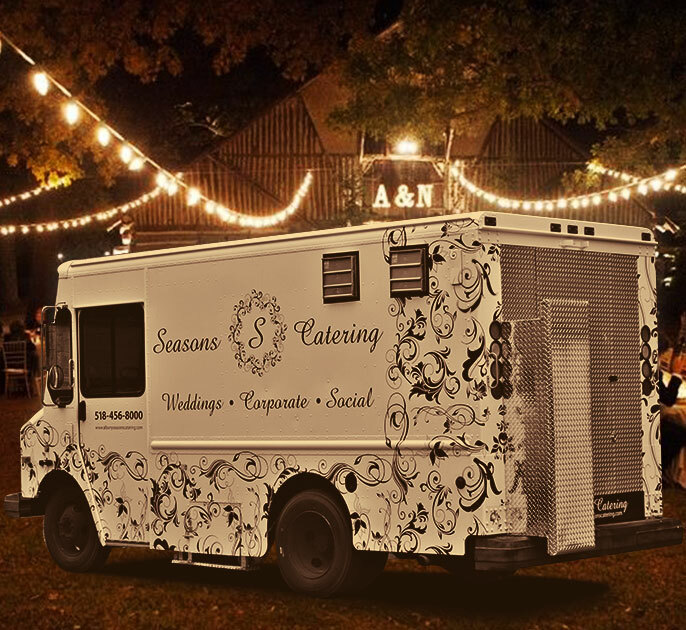 We can do live cooking at any location our truck can park. This means your food does not sit in a hotbox in transit to offsite locations.In addition to this, we are fully Insured and have our own Liquor license; making all for an easy stress free event; no matter the location!